OAKLAND, Calif., March 12, 2019 /PRNewswire/ -- The Warriors Community Foundation and Kaiser Permanente announced a partnership to create Generation Thrive, an innovative initiative that aims to lift up at-risk youth in the community. Generation Thrive, which will be headquartered out of the Warriors' current practice facility in Oakland, will focus efforts in three key areas: educational equity, college and career readiness, and health and wellness. The Warriors' current headquarters in Oakland will also serve as the home base to Warriors youth basketball and community programming. Starting in early 2020, Warriors youth basketball will be expanding their programming beyond basketball camps to reach additional youth in the Bay Area utilizing the current practice facility as their headquarters. Since its inception in the summer of 2000, Warriors Basketball Camp, the largest youth basketball camp program in the NBA, has grown to host over 55,000 youth from across the United States in hundreds of sessions in 27 cities around the Bay Area, plus a camp in Oahu, Hawaii. Warriors community programming, which holds around 200 events a year throughout the Bay Area, will also have the opportunity to host additional events within the Warriors' current headquarters. "We are the Bay Area's team — Oakland is a part of the fabric of our organization and while we are leaving a building, we are not leaving a city," said Warriors President and Chief Operating Officer Rick Welts. "Because of Kaiser Permanente's demonstrated commitment to Oakland and other Bay Area communities, we couldn't think of a better partner to create a lasting impact on the youth and future of this community." Generation Thrive, a first-of-its-kind nonprofit accelerator, will support community organizations and allies that serve youth with key resources, technical assistance, training and networking opportunities to help accelerate the impact of their programming. The nonprofits participating in Generation Thrive will provide learning, enrichment, health promotion and wellness opportunities to Bay Area youth, including educational and career support to help increase and diversify workers in STEM and health care. The launch of the new 20-year partnership represents a commitment to make a transformational impact on a generation of youth. 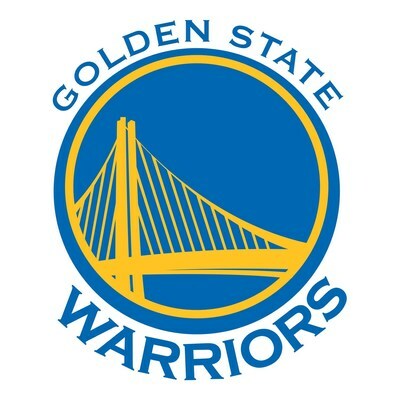 This also expands the long-term relationship between the Golden State Warriors, the back-to-back NBA Champions, and Kaiser Permanente, one of America's leading health care providers and not-for-profit health plans, both with proud legacies of empowering youth and supporting Bay Area communities. Their mutual goal is to help find solutions to the persistent education and achievement gap among youth in the Bay Area. For instance, while California's overall high school graduation rates have increased significantly in recent years to an average of 81 percent, graduation rates for African-American and Latino students continue to lag in the Bay Area. School districts can't fix this alone and by working together the two organizations seek to close this gap. Kaiser Permanente is contributing an initial investment of $5 million to build on the Warriors Community Foundation's previous grants of more than $10 million since inception in 2012. At launch, Generation Thrive's innovative incubator will expand and scale the impact of nonprofits that are making a difference in the lives of underserved youth in Bay Area communities. This accelerator will provide a creative convening place for collaboration, coordination, networking, services and a host of future program opportunities in Oakland at the current Warriors front office space and San Francisco at Chase Center. Warriors President and Chief Operating Officer Rick Welts, Warriors Community Foundation President of the Board Nicole Lacob and Warriors players Stephen Curry and Shaun Livingston joined Regional President for Kaiser Permanente Northern California Janet Liang, along with Oakland Mayor Libby Schaaf at the Warriors practice facility in Oakland to make today's announcement. "Today's youth are exposed to a variety of negative factors making them more at-risk to injury, academic failure, and poor health," said Liang. "As the Warriors move to a new arena, we're grateful that they brought this opportunity to us to answer such an important need. This initiative, headquartered in Oakland, will make sure vulnerable Bay Area youth have the opportunities they need to be successful and healthy." "We recognize a strong need in our Bay Area communities to support underserved youth to help them toward a path of success," said Lacob. "The Warriors and Kaiser Permanente are coming together with a mutual goal: to help bridge the opportunity gap for Bay Area at-risk youth, through programming and support that will help lift up young people in our community." Oakland Mayor Libby Schaaf and San Francisco Mayor London Breed both committed to collaborating with the Warriors and Kaiser Permanente. "Kaiser Permanente and the Golden State Warriors represent two Bay Area-based organizations at the top of their respective industries that continue to make smart sustaining investments in the quality of life of young people and the overall health of our community," said Mayor Schaaf. "Generation Thrive will truly have a generational impact by providing a new platform to enhance the work of valuable youth-focused community organizations of today, while making tangible strides to diversify, educate, and mentor the health care leaders and STEM innovators of tomorrow." "This exciting partnership brings together two dynamic organizations to address issues impacting our young people," said Mayor Breed. "The combination of educational, career and health support are necessary for our youth to grow and thrive, and for the Bay Area to provide equitable opportunities for all. I look forward to working with the Warriors Community Foundation and Kaiser Permanente to make a real difference in young people's lives."